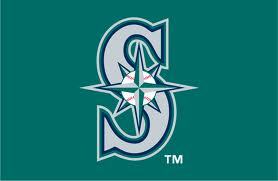 Kevin Millwood the Seattle Mariners starter and five relievers no-hit the Los Angeles Dodgers Friday night 1-0. Millwood lasted six innings in the game before the five relievers came on to through the season’s fourth no-hitter. When the game ended, Jesus Montero the Mariners catcher looked for someone to hug and give the ball to, but his teammates were not quite sure what to do or how to celebrate. The reason the celebration was not quite the same is that Millwood had to leave in the sixth inning due to an injury and was followed by what seemed like a steady stream of relievers. It was the second no-hitter thrown this season at Seattle’s Safeco Field, as Philip Humber threw a perfect game against Seattle in April. At least this time, it was the Mariners throwing the no-hitter and not a visiting pitcher of team. The six pitchers equaled a record for the most pitchers used to throw a no-hitter. The Dodgers came close to getting a hit when Dee Gordon their speedster started the ninth inning with a slow roller, but was thrown out at first in a very close play. The play was argued by Gordon and his manager Don Mattingly. It was the third no-hitter in franchise history for the Mariners and the first in 19 years. It was the 10th time a combined no-hitter has been tossed in the major leagues and the first one since 2003 when six Houston Astros pitchers no-hit the New York Yankees in Yankee Stadium.